Different modelling approaches are used to design and assess air quality plans across Europe. This study assessed the strengths and weaknesses of these different approaches. The researchers conclude that a large variety of models is in use, without a preferred or standard model having emerged yet. They identify integrating local-scale and large-scale models and verifying models with measurements as the most important challenges. A large percentage of the urban population is exposed to air pollution, which is the major environmental cause of premature death1 . To tackle this major public health problem, countries need not only to monitor their air quality but also take action to improve it. In the EU, the Air Quality Directive2 aims to improve the quality of air in Europe by setting limits for hazardous pollutants. Alongside monitoring, it requires Member States to establish ‘Air Quality Plans’ (AQPs) for areas that do not comply with the limits of the Directive (by planning emissions-reduction measures, for example). It also encourages modelling to assess the effects of these measures on air quality and human health. A range of modelling methods has been developed to assess the effects of policy measures. These range from scenario approaches (e.g. running a model with/without an emission source) to more comprehensive cost–benefit analyses. However, so far, there has been no review of the methods used to create AQPs in Europe. To meet this need, the EU-funded project APPRAISAL3 reviewed the different methods and their limitations in order to propose areas for improvement. 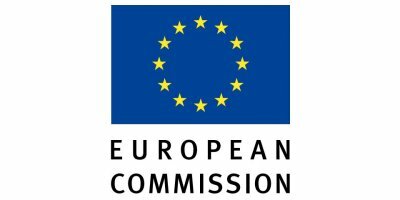 The researchers developed an online database to characterise the use of air-quality assessment and planning tools across the EU, using a questionnaire that asked experts involved in the design of air-quality plans about the purpose of modelling, strategy and approach, input data and measurements used, and air-quality indicators. The database includes 59 contributions from 13 Member States4 , some of which are involved in designing air-quality plans (representative of current practices in the decision process), some in conducting research projects (usually assumed to be based on the most updated methods), and some with involvement in both. Using the database, the researchers reviewed current practices in the EU with the state-of-the-art methods in five areas: integrated assessment; air quality modelling; scale and resolution; input data; and measurements. Atmospheric modelling has improved in recent years and a wide range of modelling systems now exists. To inform air-pollution mitigation strategies, integrated assessment modelling (IAM) methods have become popular in Europe, and provide a framework for designing air-quality plans that consider the impacts of different policy options. The researchers found that IAM is mainly used for developing mitigation measures. The most common method is scenario analysis, although more elaborate approaches (based on cost-effectiveness, for example) are used in research. The main component of IAM is air-quality modelling, which is used to assess the control strategies developed by regulatory agencies. The database showed that several different models are used by national, regional and local authorities to develop their air-quality plans; currently there is no standard. Over half of respondents reported using more than one model for their air-quality plan. The researchers say this is likely because no single model can assess all scales of air pollution, from the regional to the street scale. Indeed, most of the survey’s respondents were aware of the scale issues associated with AQPs. Within the 59 air-quality studies analysed, the researchers found 177 different model setups — the majority at the regional and urban scales. Only 12% reported use of streetscale models. The challenge of local-scale modelling was a recurring theme in the survey, and respondents noted the lack of an effective downscaling procedure. The results were also used to evaluate input data, such as emissions inventories and meteorological data. The database showed that the scale and resolution of emissions inventories are generally in agreement with air-quality models, while emissions data are more uncertain than meteorological data. Finally, the database was used to assess the use of measurements (e.g. monitoring data) in air-quality assessment, which can be used to evaluate performance (e.g. by comparing models with monitoring data) and to improve model accuracy (e.g. by combining monitoring and modelling data). Measurement data were mainly used for evaluation purposes and most often collected by an automated network. The researchers note with concern that in 15% of cases monitoring data were not used at all. Overall, the findings reveal gaps between the most advanced methods used in current research projects and current practice, as well as differences between Member States. The researchers hope their findings improve knowledge of integrated assessment for air-quality plans and will improve the use of the latest scientific knowledge by policymakers and regulatory bodies in the EU. Based on the differences they found between practices, they also recommend harmonisation of modelling practices across the EU. 3. APPRAISAL received funding from the European Union’s Seventh Framework Programme. 4. Belgium, Finland, France, Germany, Greece, Italy, Luxembourg, Netherlands, Poland, Portugal, Spain, Sweden, UK. No comments were found for Air quality assessment in the EU: room for improvement?. Be the first to comment!